← If the “binning” of Canada’s scientists is here to stay, then here is a way to fix it! Especially the young ones who never got to hear about Tom Lehrer. But don’t take him seriously about Lobachevsky. The guy was a genius. In any case, what do you think of this quote? “To copy from﻿ another is plagiarism. 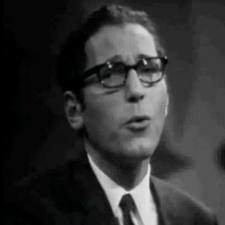 You might want to change the photo: pictured is “Weird” Al Yankovic, not Tom Lehrer.